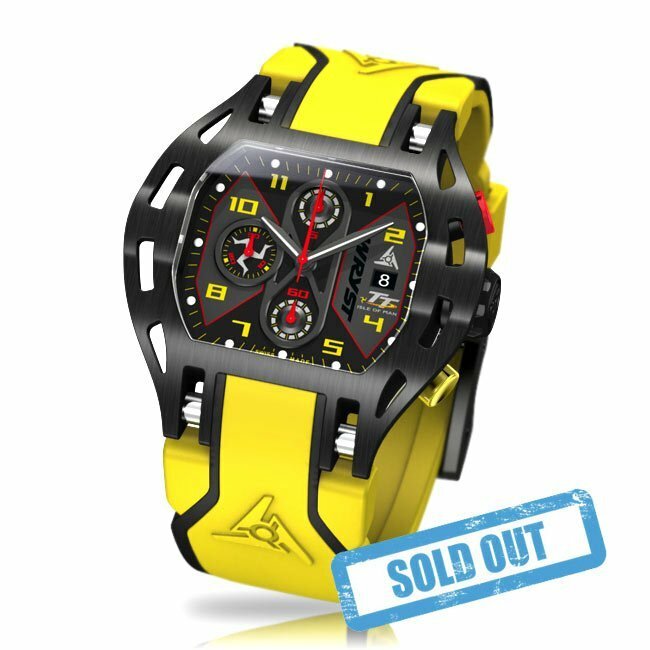 SOLD OUT - The Isle of Man TT 2016 Swiss sport watch special edition in black and yellow is inspired by the world's fastest and most dangerous motorbike road race championship, the Isle of Man Tourist Trophy taking place every year in June. 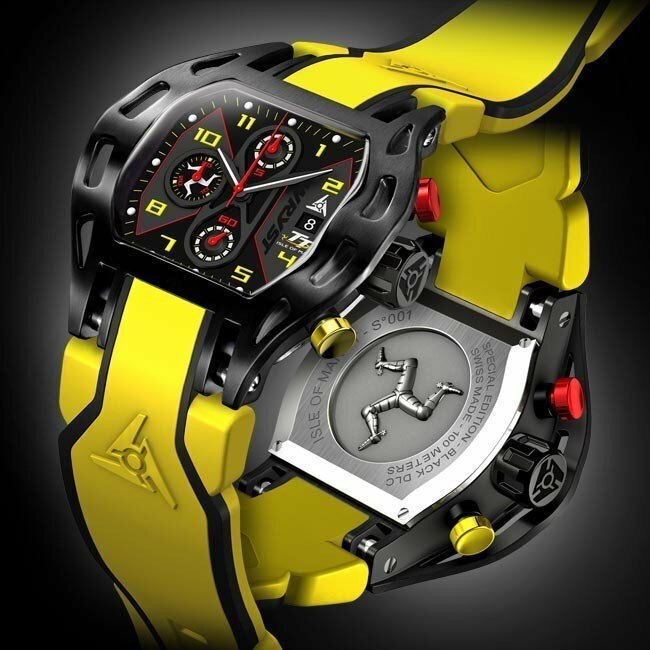 The chronograph watch has a black DLC coating for scratch resistance and a K1 mineral crystal harder than sapphire. 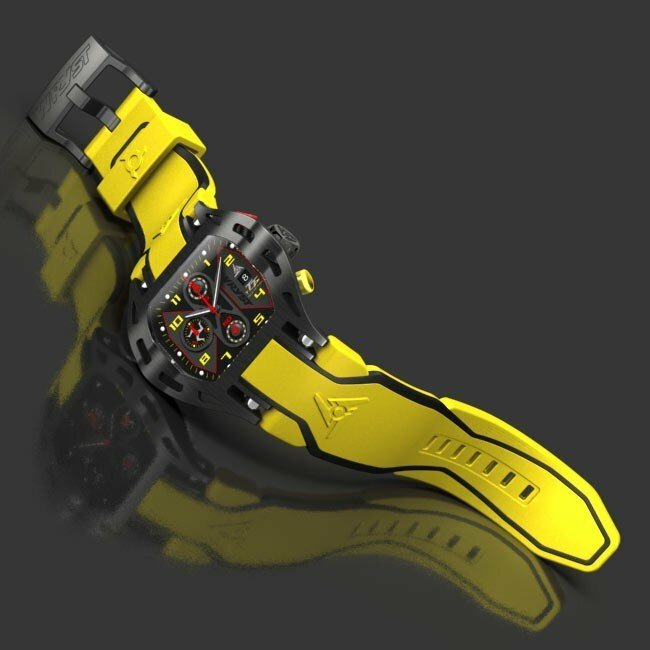 This version of the exclusive sport watch is fitted with a high quality yellow silicone strap. 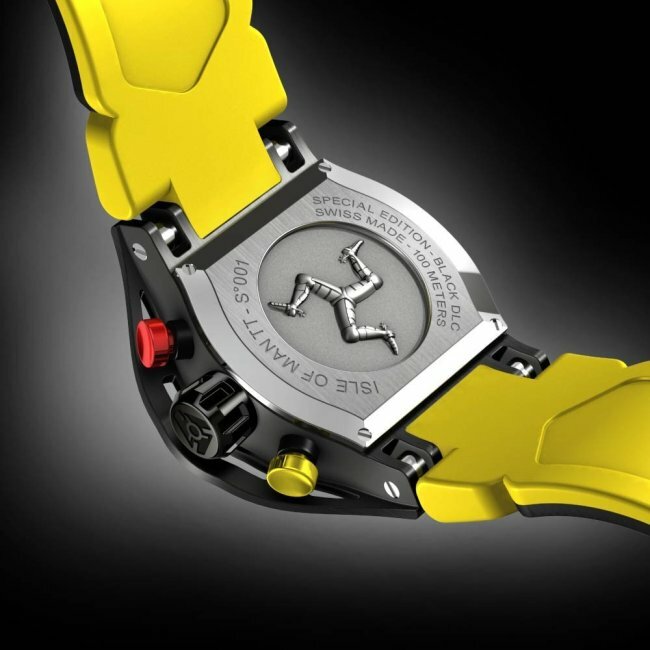 The Wryst Isle of Man TT sport watch with black DLC coating on the case, crown and buckle is scratch-resistant. Harder than sapphire crystal, the "K1" material glass is also more scratch proof than mineral crystal. Got mine today, very good looking watch. I'll be wearing it at the IOMTT 2016. I ordered mine and CAN'T WAIT to wear it!! 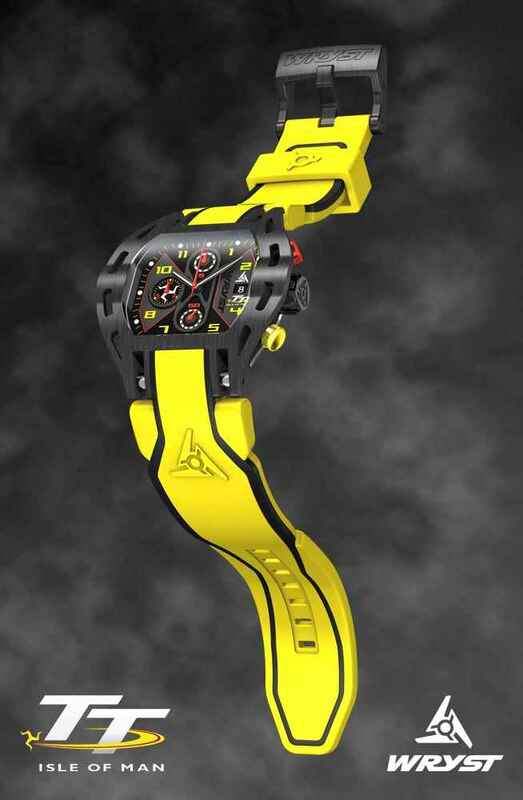 Now this is an IOMTT watch like no other has ever made in the past and I am so thrilled - Saving now until next year to buy this stunning watch and will be wearing it at the 2016 race.